HP is reportedly looking to offload some of its mobile patents to the highest payer. Included in the portfolio are patents related to webOS, the mobile operating system they inherited as part of the $1.2 billion acquisition of Palm in 2010. The company has approached potential buyers regarding the patent portfolio according to unnamed sources as reported by Bloomberg. These patents are much more attractive than they once were because HP has removed some restrictive conditions attached to them. This also means HP could command a higher price tag, the sources said. It would seem that webOS is the tech-world equivalent to the adopted child that no family wants to keep for the long haul. The OS was created by Palm and launched in January 2009 as the successor to Palm OS and appeared on a couple of devices before being absorbed by HP. HP planned to use the mobile OS with multiple new products including smartphones, tablets and printers. Most of those plans never materialized and the few HP devices that ultimately launched running webOS never took off. 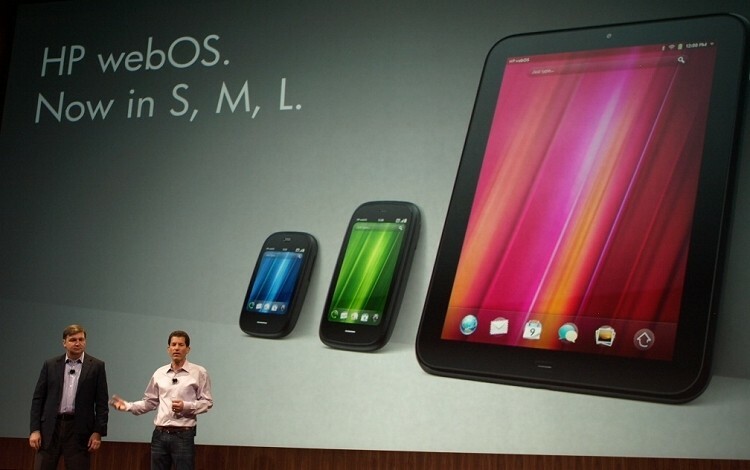 HP eventually discontinued support for webOS and kept it on life support as an open source platform. Earlier this year, yet another company got involved with it as HP agreed to license webOS code to LG Electronics for use in their web-enabled Smart TVs. As per that deal, HP was allowed to retain all patents related to the operating system.